Jenn Bostic : "NOT YET" ON BBC RADIO 2 A-LIST!!! 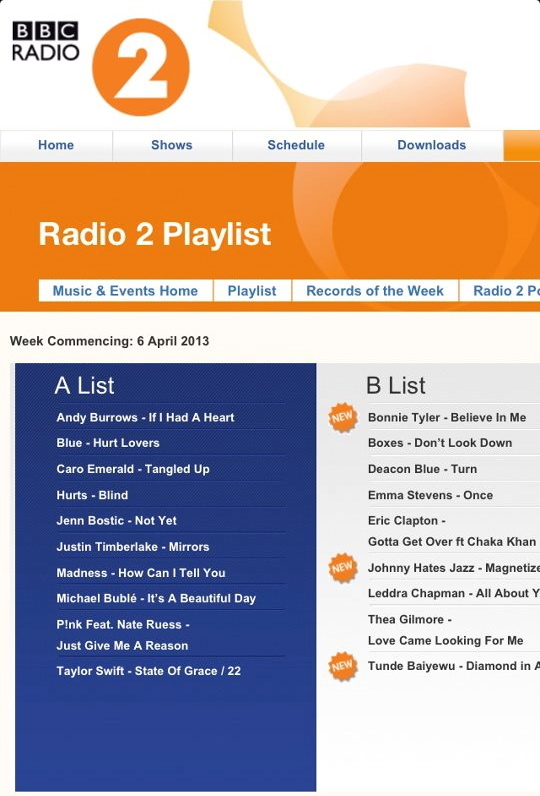 "NOT YET" ON BBC RADIO 2 A-LIST!!! "Overjoyed to announce that my brand new single "Not Yet" has moved from BBC Radio 2 B-List to A-List this week! It's incredibly humbling to be on the same list as Pink, Taylor Swift, Justin Timberlake and the likes. So honored that people are connecting with the song and am really really really excited to share the music video very soon! Doing cartwheels in Nashville!"